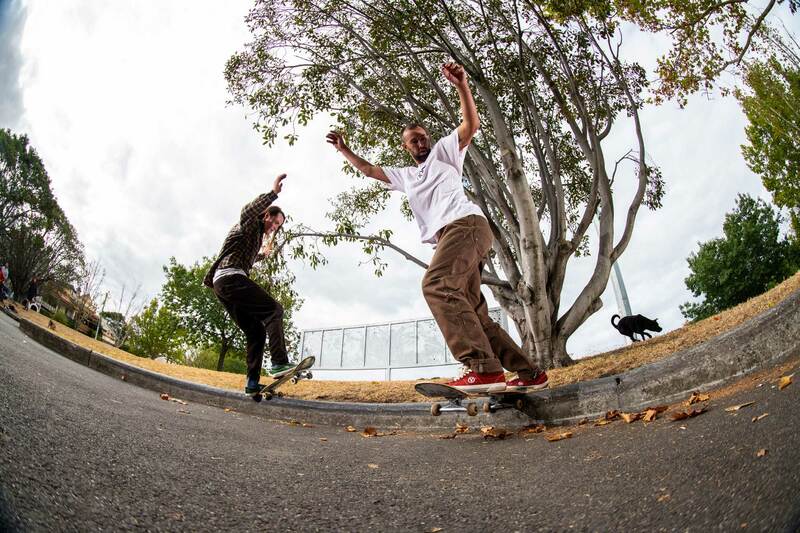 After a hugely successful first collaboration Vans & Pass~Port are back it this time with the Sid pro. Full press release below. 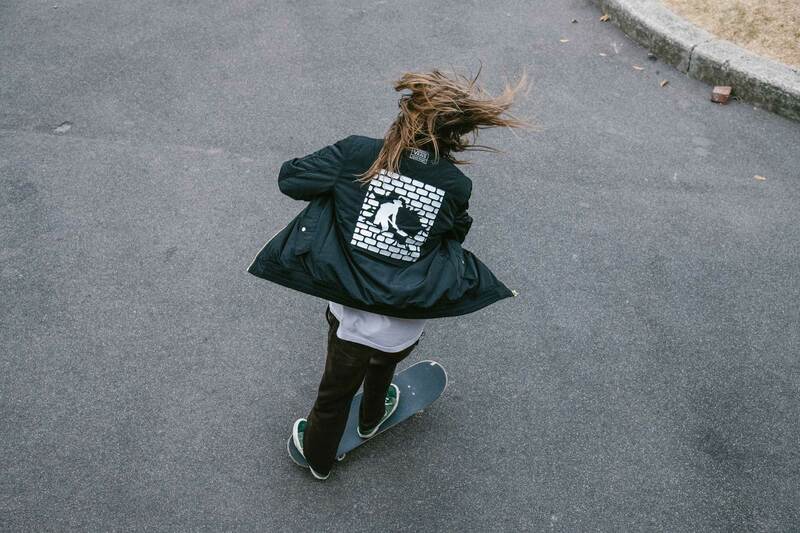 Defined by an embossed allover brick pattern, Pass~Port’s new Vans collection is inspired by local spot “Fitzy Plaza” located in Edinsburgh Gardens, North Fitzroy. The burnt red brick community building and the lush green footy fields surrounding the spot were a direct influence on the shoes and jacket design. 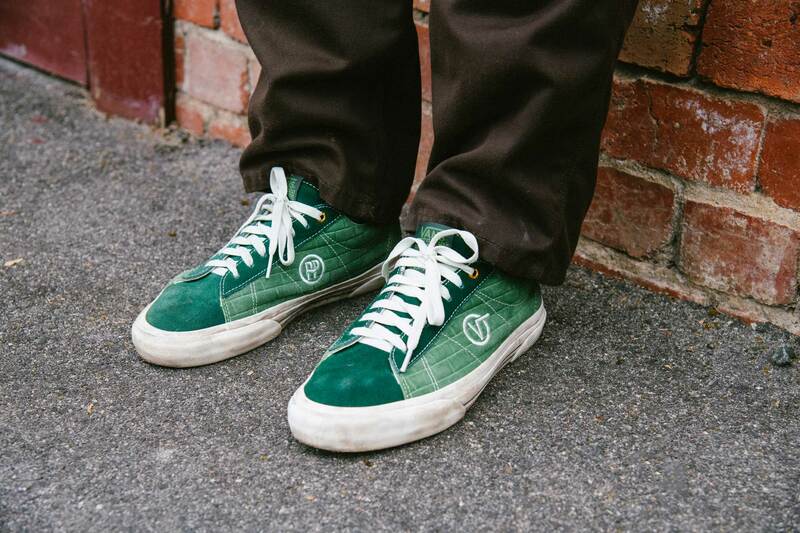 With custom tongue labels and embroidered Pass~Port logos on the instep and heel, the Sid Pro—a reintroduced 90s Vans style almost exclusively utilized as a silhouette for collaboration—references the digger man motif often seen in Pass~Port graphics and the brand’s retro visuals inspired by skate videos of decades past. 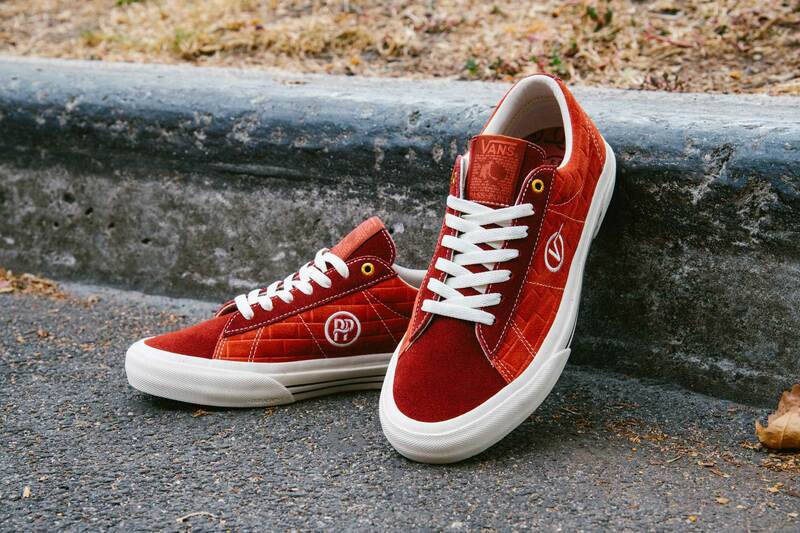 Available in limited quantities on April 20 in two unique colourways through select Vans Pro Skate accounts.